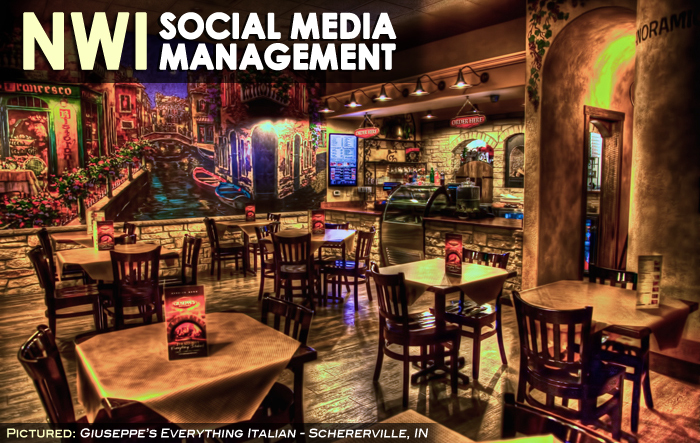 A NW indiana social media management setup package is a great asset to your business because it gives your company maximum exposure online. By maximum exposure, what we mean is…as a business, you want your company to show up in as one of the top search results in a search engine for as many keywords and keyword phrases as possible, but most notably, your locally most search keywords and phrases. For example, as an Italian restaurant in Valparaiso, when someone goes to Google to casually search for Italian restaurants in Valparaiso, they might type in just that – “Italian restaurants in Valparaiso”. A potential customer might also do a Google search by typing in the words “Italian restaurants in Valparaiso” or “Valpo Italian restaurants” or maybe even “Northwest Indiana Italian restaurants”. As an Italian restaurant, you would want to be among the top listings for those searches. A social media setup package can help you with that by allowing you to have top ranking pages that show up for a direct search of your name as well as for many of the keyword phrases that you are aiming for! Want to add a maintenance plan to your package? We can do that too. Let us put a monthly package together that works for your business. Whether it be getting customer review videos, monthly photos or posting to social networks, we’ll put a package together that works for you.